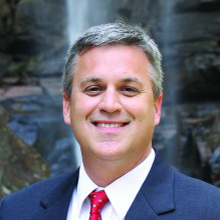 Brian Shelton is Provost at Toccoa Falls College, where he also teaches as Professor of Theology and Church History. He is author of Prevenient Grace: God’s Provision for Fallen Humanity and Martyrdom from Exegesis in Hippolytus, the latter of which investigates an early church father in Rome. In his 15th year in higher education, he loves engaging college students and sorting through the ideas of life. He has led several studies abroad in Europe, finding student learning with on-site experiences to be one of the best ways for grasping history. Brian is married to Sally and they share three daughters. Living in the foothills of Appalachia, he loves hiking, as well as reading historical fiction set in ancient Rome and writing about figures and ideas from church history. Dr. Shelton teaches the History of Ideas course at Rome with Purpose.